Cardinal Pointe of Faribault offers you a life style of comfort, security and freedom from home maintenance. We have 46 units and located within walking distance of downtown Faribault with a variety of retail and service businesses, churches, and city and county offices. Central Park, across the street, offers a variety of activities such as concerts, farmers market and yearly carnival. There is also a full scale grocery store within steps of our front door. Cardinal Pointe combines the best of owning your own home with the conveniences of cooperative living. Cooperative living encourages member’s participation in decision making through involvement in committees and self government. A housing cooperative is a corporation in which members own a share, elect a board of directors from the membership and participate in the decision making process of operating the cooperative. Security and ease of living are high priorities in both design and on-going operation. This cooperative housing community is for people who have reached age 55 or are older. In Cardinal Pointe each resident purchases a Share – at full market value-as a one-time investment and becomes a Share Owner in the cooperative. The cooperative is completely owned by the members that live here. There is no mortgage. Shares vary in cost according to the size and type of residential unit that is chosen. Guidelines are established to insure quality and operational standards such as an all smoke free environment. A Monthly Fee, paid by each Share Owner, covers costs such as real estate property taxes, operating expenses and reserves. 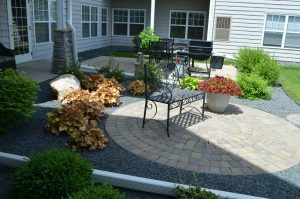 The Monthly Fee also pays for grounds maintenance, snow shoveling, water and sewer charges, trash removal, natural gas and heat, fire and liability insurance, accounting services, Lite TV package and on-site staff. The Cooperative Association Board of Directors — whom the owners elect, determines any increase in the Monthly Fee. Homesteaded ownership, value, security, and comfort in a community with a great location — choose Cardinal Pointe of Faribault as your new home.